Passengers have been urged to check their flights as an air traffic control strike causes chaos for thousands of holiday-makers. Ryanair has cancelled up to 100 of its European flights over this weekend as ATC workers in France and Germany take industrial action. Anyone planning to jet off this weekend has been urged to check their status of their flight before they travel to the airport. 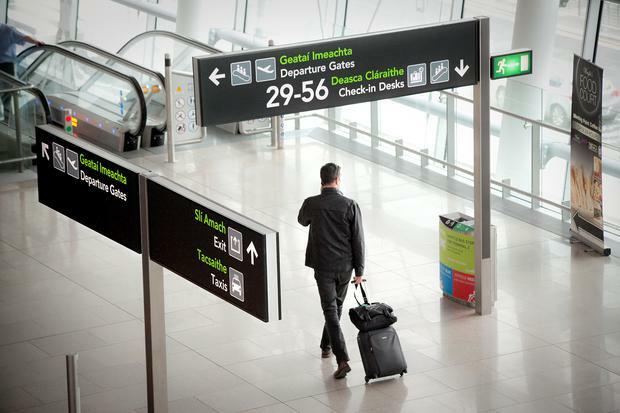 Dublin Airport advised travellers in an updated statement this morning: “A French air traffic control strike is scheduled to take place from 05.30 today until 05.30 Mon 25 June. A Ryanair return flight from Dublin Airport to Nice on Sunday was one of 100 European routes cancelled over this weekend, the airline said. The low-cost airline has also warned passengers to expect significant delays on all of their flights to and from France. It tweeted yesterday: “Due to yet another unjustified French air traffic controller strike this weekend, Ryanair regrets to inform customers that it has been forced to cancel a number of flights. Aer Lingus has said that up to 16 of its routes may be disrupted. It said in a statement on their website: “Please be advised of flight disruptions this weekend due to French Air Traffic Controller Strike. “Guests planning to travel this weekend are advised to check the status of their flight before departing for the airport. “Cancel and apply for a refund. According to Eurocontrol, 39,000 flights were delayed last month due to ATC strikes. IAG, the parent company of airlines including Aer Lingus, British Airways and Iberia, said it wants to tackle the issue of ATC strikes. IAG chief executive Willie Walsh said: “IAG and Ryanair are planning to submit a complaint to the European Commission as ATC strikes represent the biggest challenge for our industry.